School tours can be either on-site or online. We are available to offer informative and enriching school tours for Kindergarten to college age student groups during the school year. 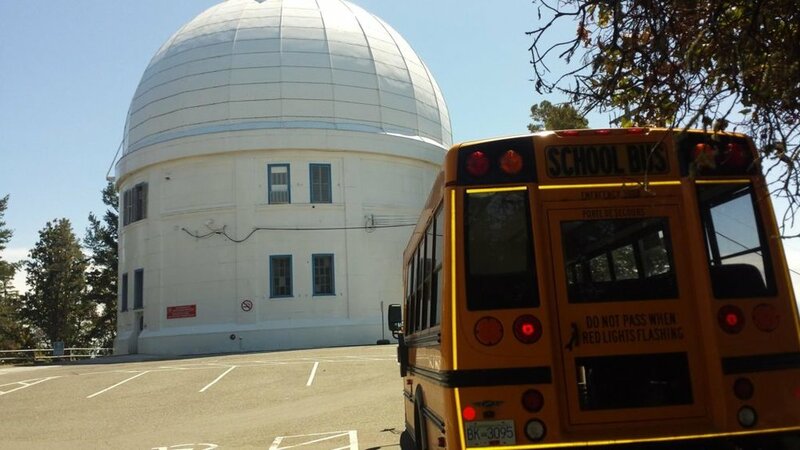 We'll give the students a tour of the facility, teach them about the observatory and its rich history, as well as share some fun facts about outer space. They'll even get a chance to sit in our interactive planetarium and get a digital tour of our galaxy and beyond! We will have a new planetarium projector in operation in late March. The tours are organized and led by a recent UVic grad in physics and astrophysics, Calvin Schmidt. We charge a nominal fee of $40/class (i.e. regular class size) for on-site visits. The on-site visits are heavily subsidized by the Victoria Foundation. The CanYES visits are supported by the National Science and Engineering Research Council’s PromoScience programme and by TELUS. We are seeking additional sponsorship for the CanYES programme. Please contact Don Moffatt dmoffatt@observatoryhill.org if you would like to discuss it.